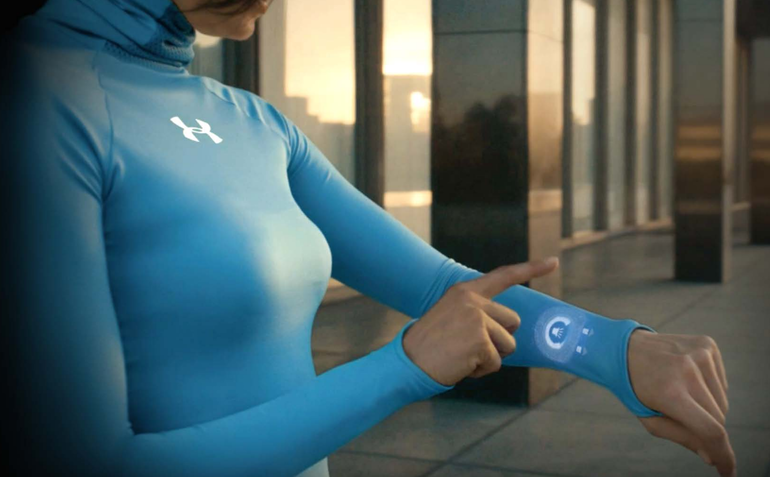 Under Armour CEO Kevin Plank has outlined a bullish vision on smart sportswear, claiming his company will be the first to merge technology and fashion for a mass consumer market. The company announced it was working on smart clothing earlier this year, including apparel that can help regulate skin temperature. But along with the likes of Nike and Adidas, Under Armour will have to beat tech players like Apple to the punch. Speaking to Bloomberg, Plank said: "[Smart clothing] is our ambition. Somebody should be working on that, and not sitting around waiting for Apple or Samsung or someone else to build that type of apparel. "We should be meeting them on the other side, so being that technical type of company." Plank admitted that smart apparel would likely only appeal to "super users" at first, but pointed out that more than 150m consumers had signed up to Under Armour’s range of fitness apps, signing up at a rate of 150,000 a day. He said: "They’re saying ‘how does this work, I’m curious about biometric information.’ If I can give you a compelling case, why you should measure it, it’s the only thing in your life you don’t measure, whether it’s your stocks, or your bank balance. Why don’t you measure your own health?" Plank added that he was "pretty bullish" on connected fitness as a whole, though his company has yet to see a financial return on the $600m it spent on buying the MyFitnessPal and Endomondo apps this year. Under Armour is hoping to become the Facebook of fitness, working on a social fitness dashboard that works agnostically with any fitness device, be it an Apple Watch, Jawbone band or Fitbit bracelet. Plank claims the ‘Connected Fitness’ platform will be compatible with "more than 400 different devices". Plank said: "Nobody has made this easy, that’s part of the problem. "Right now, if I have a Jawbone, use it for three months and it breaks, then I get a Fibit for Christmas, I now have to go to Fitbit.com. We want to create that dashboard where, regardless of your device, we are the ones that can be the central depository of your [data]." Earlier this year, Under Armour’s head of marketing in EMEA, Chris Carroll, described the upcoming platform to Marketing as a possible competitor to Twitter and Facebook. At a recent investor day, Under Armour outlined ambitious plans to double sales over the next four years, with Plank setting a revenue target of $7.5bn for 2018, more than double the company’s sales last year.